Los Angeles CPR stands out above the rest of the training providers in Los Angeles, California because of very high quality programs for the most affordable rates. We have the biggest selection of training programs available to trainees, with training programs and re-certification courses available all week. Some classes are even available during the weekends and evenings because of the number of students who enrol in our programs. All of the courses offered at Los Angeles CPR give students certificates or training credentials. Students are required to have complete attendance and a passing grade on the post-test (certification test) to receive a training credentials. Only one of the courses (Heartsaver CPR for the public) has optional certification; students can choose not to get certified. Post-tests have practical and written portions. Students can enrol in a program through four different ways. The easiest way is through the Los Angeles CPR website where prospective trainees can use the online application form to sign up. E-mails and telephone calls are alternative ways to enrol. The staff still encourages sign up in person; be sure conduct all business during operating hours only. 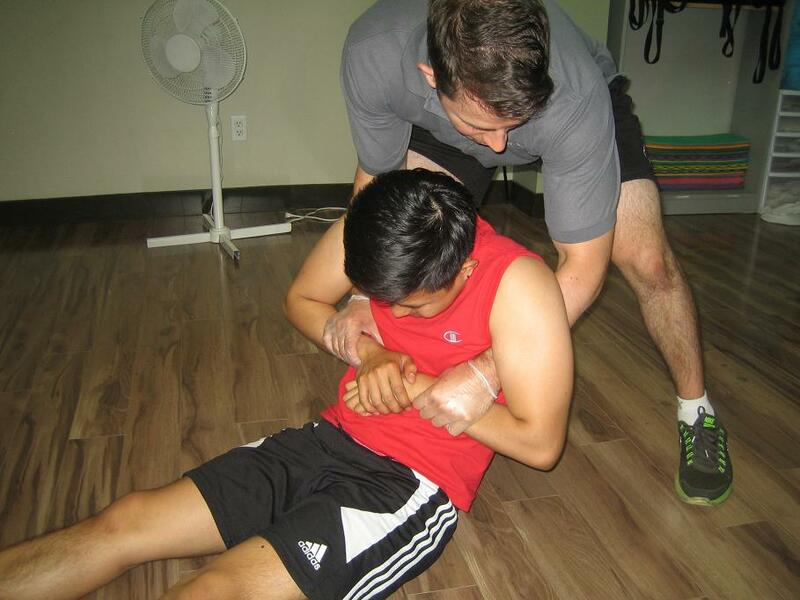 Moving an unconscious victim (without a spinal or neck injury) is taught as a basic first aid skill. Before choosing a program, trainees have to specify that kind of training credential he or she needs. BLS certification is available in three courses and ALS certification in two courses. BLS, short of Basic Life Support – teaches trainees basic CPR skills, first aid, and automated external defibrillation (AED). Basic skills for CPR include chest compressions and rescue breaths, practiced on the latest training equipment. Because BLS programs focus on skill building, the programs are short, approximately four hours long. Advanced Life Support programs are only for people in healthcare. They introduce trainees to the complex management of cardiac arrest in a clinical setting. ALS programs are very long, ranging from 14 to 16 hours in total, completed in a span of two days. They teach trainees about different equipment used during CPR, as well as the indication, dosage, and preparation of medication used during and after a code. Basic ECG reading is also a topic in ALS training – trainees are taught how to operate an echocardiogram and analyze its reading. There are three basic life support programs. There are no prerequisites.